Google unveiled its Stadia cloud gaming service at the Game Developers Conference (GDC) in San Francisco. Stadia is a cloud streaming service "for all types of devices capable of running a Chrome browser" and not requiring a gaming console. Stadia will launch later this year in the U.S., Canada, UK, and Europe. Stadia will support up to 4K HDR at 60 FPS. An Internet connection of at least 25 Mbps downstream is required. Eventually, Stadia expects to support up to 8K resolutions and 120 fps. In addition to the 4K 60 FPS connection to the player, the Stadia network can also deliver a 4K 60 FPS stream to YouTube so that the action can be saved and shared as a video. To deliver the service, Google will leverage its global backbone and its 8,500 edge node locations around the world. Google is working with AMD to produce a 10.7 teraflop GPU that will be custom servers its data centers and edge locations. Tencent is showcasing its global cloud ecosystem at this week's Game Developers Conference (GDC) in San Francisco. Tencent Cloud's global cloud infrastructure currently operates 53 availability zones in 25 countries and regions worldwide, offering high concurrency, rapid elastic expansion, anti-DDoS protection, and solutions tailored to various game genres. Tencent highlighted its Game Multimedia Engine (GME), which provides multiplayer voice chat, voice messaging, voice-to-text conversion and features such as 3D positional voice for gaming and other applications, and Global Application Acceleration Platform (GAAP), which reduces latency and achieves industry-leading performance for real-time interactive games and applications, especially those that serve many concurrent users across long geographical distance. Both GME and GAAP have successfully served numerous popular games to date. One of the most well-known titles that has adopted GAAP is Tencent's Arena of Valor, the second-highest-grossing free-to-play title in 2018 after Fortnite. PUBG MOBILE, winner of the 2018 Joystick Awards' Mobile Game of the Year and King of Avalon, which has over 60 million registered users globally are another two titles that have adopted GAAP to improve user experience. China’s mobile ecosystem added RMB5.2 trillion ($750 billion) in value to the country’s economy last year, equivalent to 5.5 percent of China’s GDP in 20181, according to a new GSMA report. China’s mobile ecosystem, directly and indirectly, supported 8.5 million jobs in 2018 and made a tax contribution to the public finances of government of RMB583 billion ($84 billion). The new report ‘The Mobile Economy China 2019’ is authored by GSMA Intelligence, the research arm of the GSMA. of 13.9% compared to last year, while basic earnings per share were RMB0.262, achieving rapid growth. Capital expenditure was RMB74.9 billion, representing a decrease of 15.5% compared to last year, the third consecutive annual decline. Some highlights from the company's financial presentation. Samsung Electronics Co. announced its new High Bandwidth Memory (HBM2E) which promises to deliver the highest DRAM performance levels for use in next-generation supercomputers, graphics systems, and artificial intelligence (AI). The new Flashbolt DRAM is the industry’s first HBM2E to deliver a 3.2 Gbps data transfer speed per pin, which is 33 percent faster than the previous-generation HBM2. Flashbolt has a density of 16Gb per die, double the capacity of the previous generation. With these improvements, a single Samsung HBM2E package will offer a 410 gigabytes-per-second (GBps) data bandwidth and 16GB of memory. Huawei Technologies will adopt Open Rack in its new public cloud data centers worldwide. DataGryd, which is a leading data center provider in New York City, has selected Clune Construction to build out its MegaSuite 6 facility at the 60 Hudson Street building in Manhattan. The companies said the facility will be transformed into New York City’s most modern and efficient high-density, high-performance data center. DataGryd’s MegaSuite 6 is expected to be ready for occupancy by the third quarter of 2019. Upon completion of MegaSuite 6, DataGryd’s customers will benefit from cost-effective megawatt configurations, supported by 5,000 kilowatts (kW) of utility power generators and towers. 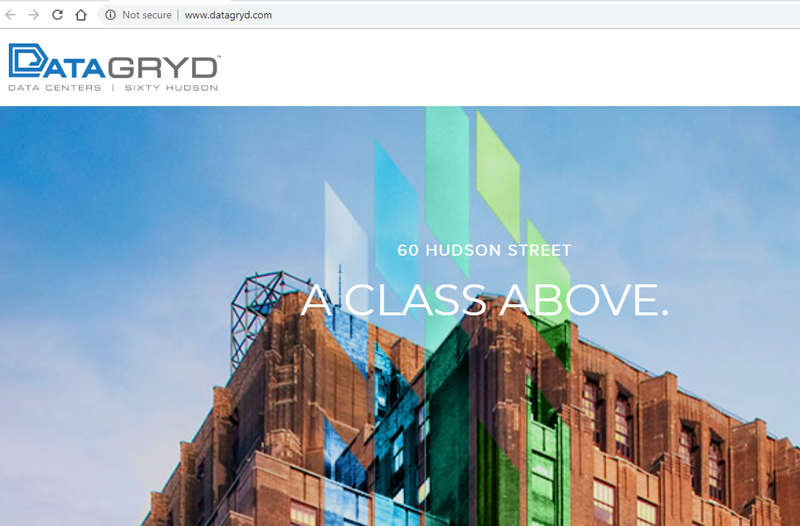 Located within 60 Hudson Street, a globally renowned world-class carrier hotel, DataGryd’s customers will be able to directly connect to over 300 carriers, network providers, exchanges and more than six fully operational subsea systems anchored within the building without incurring monthly cross-connect fees. Cohesity, which specializes in hyperconverged secondary storage, has formed a joint venture with SoftBank Corp. to offer services in Japan. Secondary data includes data used for backups, archives, analytics, testing and development and other workloads and comprises 80 percent of an enterprise’s total data volume. The joint venture operates under the name Cohesity Japan KK (“Cohesity Japan”). SoftBank and SoftBank C&S Corp. will distribute and resell Cohesity solutions in Japan, along with other partners including Networld Corporation and ITOCHU Techno-Solutions Corporation. Solutions from Cohesity are available today to Japanese enterprises. Cohesity is a portfolio company of SoftBank Vision Fund.